My friend, Florida Mediator Perry Itkin, was kind enough to alert me to his recent post about important changes to the rules in Florida governing the certification of mediators providing services through the Florida court system. 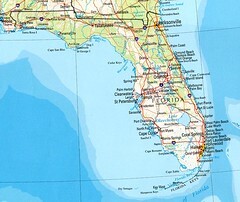 The Florida Supreme Court last week adopted proposed amendments to Florida’s Rules for Certified and Court-Appointed Mediators. These amendments, which go into effect on August 1, replace the current mediator certification requirements with a new certification requirements “point system”. All mediators seeking certification must meet the requirements of “good moral character” and the minimum age of 21 and then must obtain a total of 100 points in the areas of mediation training, education and mediation experience, mentorship, and miscellaneous activities, as outlined for each category of mediator. The Court, however, will unfortunately (in my own view) continue to require that certified circuit court mediators be members of the Florida Bar or a retired trial judge from any U.S. jurisdiction, unless input from the Florida Bar at some future point suggests otherwise. Let us hope that Florida gives this final issue the serious reflection it deserves, with input from not only the Bar but from other members of the ADR community; after all, many of us believe strongly that mediators bring the greatest value not so much through subject matter expertise but rather through their skill and experience as process experts. And no profession has a monopoly on the ability to provide that.